If you want to keep your WordPress up-to-date, you need to know how to upgrade WordPress. Upgrading your WordPress from time to time will ensure that you have blocked the latest security holes in your blog. You can either upgrade WordPress manually or automatically, depending on your choice. There are always new plugins, templates and features that come with each new WordPress. Your ability to take advantage of new WordPress features, plugins and themes will make sure that your blog is always on the cutting edge of technology. Download the upgraded WordPress version to upgrade WordPress. Unzip WordPress to a folder on your hard drive but make sure you remember where you save it. Locate where you installed your WordPress on your website and navigate to the updated WordPress files you unzipped on your hard drive. Upload the upgraded WordPress files on your hard drive to the matching folders on your website. Important! The only exception to overwriting the files is the wp-content folder. Do not overwrite this folder if you have any special plugins or WordPress themes you are using, otherwise you will lose your WordPress themes and have to reload. Go back to your browser and log into your WordPress blog on your website, after you have uploaded all your files. WordPress will display a link to update your database as it needs to be updated as well. Just click on the link and follow the instructions. Make sure everything is working fine and also check the WordPress version to ensure that everything is rightly uploaded and that the upgrade took effect. To upgrade automatically means allowing the WordPress to do all the work for you. Once you log in and have an outdated installation, you will see a message at the top of the screen, telling you to upgrade WordPress. Otherwise, go to the dashboard and click the updates option, if you don’t see any message at the top of the screen. A message will appear on the version of WordPress, asking you whether you want to upgrade or not. At this point, WordPress will request for your connection information to carry on to upgrade once the information in entered. Important! You will need to back up your default or classic theme to re-upload once the upgrade of WordPress is completed if you customized them initially, or you will need to upgrade WordPress manually. You can now go ahead to enable your plugins, once you are certain that everything is working well. You can now see that updating WordPress is not as difficult as you think. 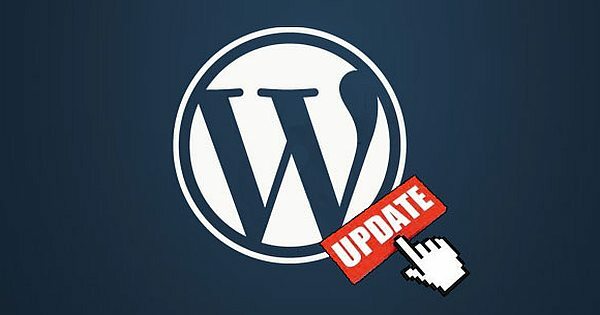 You need to understand how to update WordPress periodically, particularly at this time when people add new features and find new security holes. ‹ Top 4 Advantages WordPress Revealed!